Dr. Matthew Ehrenberg and our team are committed to bringing you and your cats better health through the practice of feline medicine and surgery, including the less travelled paths of feline behavior and husbandry. 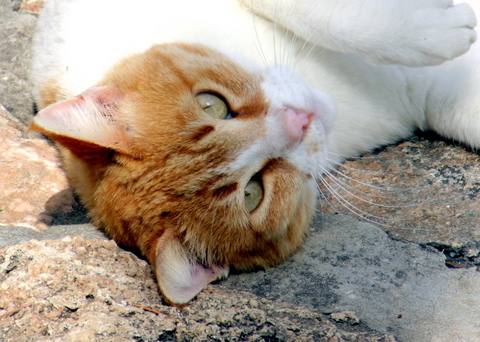 Woodland Hills based Cats Only Veterinary House Calls was founded in 1992. Since then we have served the San Fernando and adjacent Valleys as well as more distant locations including Ojai, El Monte and most of Los Angeles proper. In addition we have provided telephone and e-mail consultations to such disparate clients as truckers in a Wyoming blizzard and suburbanites in Jerusalem. Because we have an in-house pharmacy, lab, digital radiology facilities, modern dental and surgical equipment we are able to offer most services in-house. Our services are performed primarily in your home but when hospitalization is the only answer, we are prepared. Cats Only Veterinary House Calls would like to take this opportunity to welcome you, your family, and your special family member to our website. As you continue to browse and explore our website, it is our hope that you will learn more about our dedication to your family and the quality veterinary medicine and service we provide.